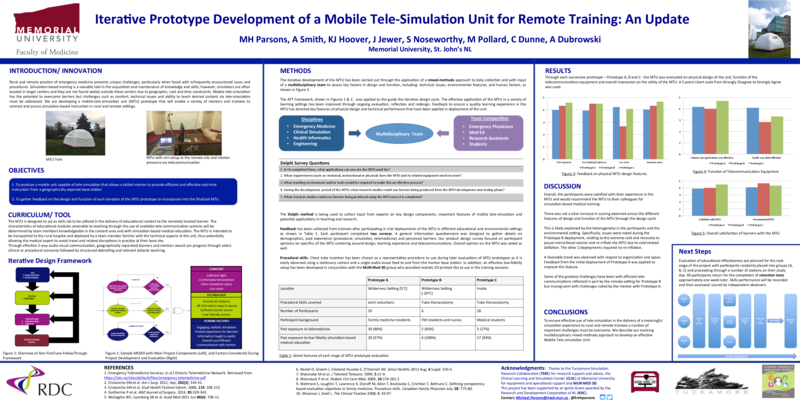 Cureus | Iterative prototype development of a mobile tele-simulation unit for remote training: an update. Iterative prototype development of a mobile tele-simulation unit for remote training: an update. Introduction/Innovation concept: Rural and remote practice of emergency medicine presents unique challenges, particularly when faced with infrequently encountered cases and procedures. Simulation-based training is a valuable tool in the acquisition and maintenance of knowledge and skills; however, simulators are often located in larger centers and they are not found widely outside these centers due to geographic, cost and time constraints. Mobile tele-simulation has the potential to overcome barriers but challenges such as comfort, technical issues and ability to teach desired content via tele-simulation must be addressed. We are developing a mobile-tele-simulation unit (MTU) prototype that will enable emergency medicine practitioners and trainees to access simulation-based instruction in rural and remote settings. Methods: Through application of a mixed-methods approach with input of a multidisciplinary team we are iteratively developing an MTU prototype to assess key factors in design and function, including: technical issues, environmental features, and human factors. The Delphi method is being used to collect input from experts on key design components and feedback is also being collected from trainees after participating in trial deployments of the MTU in different educational and environmental settings. Curriculum/tool/ material: The effective application of the MTU in a variety of learning settings will be optimized through ongoing evaluation in the iterative design cycle. Feedback to ensure a quality learning experience in the MTU will direct features of physical design and technical performance that can be applied in deployment of the unit. In addition, challenges to the delivery of module content and instructional modality/ features of lessons to be executed will be important considerations as we move toward developing content that can effectively be taught using the MTU. Conclusions: To ensure effective use of tele-simulation in the delivery of a meaningful simulation experience to rural and remote trainees a number of important challenges must be overcome. 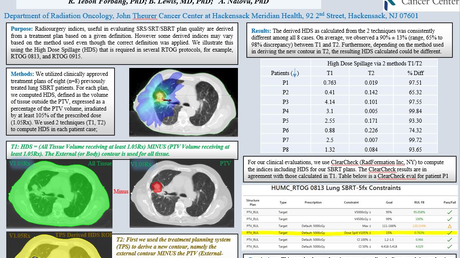 We describe our evolving multidisciplinary mixed-methods approach to develop an effective mobile tele-simulation unit.